If you're honest about it, you're probably not the same person at home that you are at work. Mitski Miyawaki says she's most comfortable at work, which for her often means being on a stage in front of thousands of people. 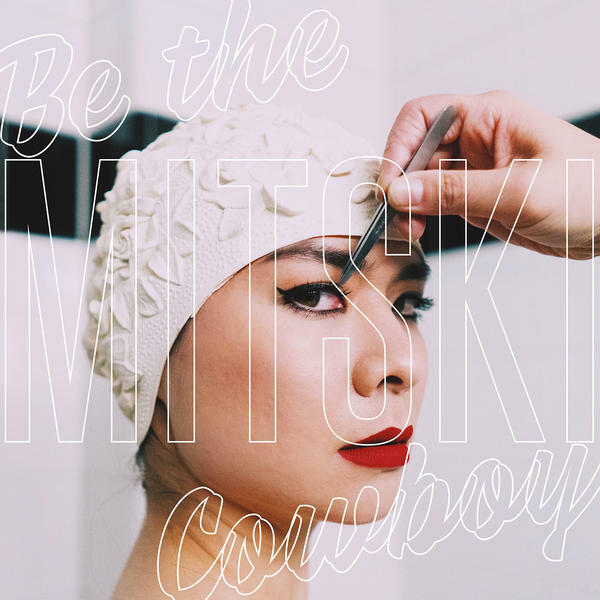 MITSKI MIYAWAKI: (Singing) My God, I'm so lonely. So I open the window to hear sounds of people, to hear sounds of people. CHANG: This is from Mitski's forthcoming record. She's 27 years old, and this is her fifth album in just a few years. It's called "Be The Cowboy." She says the title is a reference to an inside joke that she has with herself. MIYAWAKI: I just kept telling myself be the cowboy you wish to see in the world, kind of a play on be the change you wish to see in the world because there was a friend of mine - a performer friend of mine in college who was just so charismatic onstage, just swaggering like a cowboy. And he was a white guy, and there is just something incredibly electric about his playing live. And I haven't seen him in a while, but I just missed seeing him live. And so I thought, well, if I miss seeing that live, then I should embody that onstage. I should be whatever I want to see onstage. CHANG: Do you think that swagger, that kind of casual power that a cowboy exudes - do you think it's harder for a woman to wear that? MIYAWAKI: ...Very kind of strong, white male identity. And so as, you know, an Asian woman, I sometimes feel I need to tap into that to achieve things that maybe I don't believe I can achieve. CHANG: When you're up there performing and people are admiring you and watching you, how would you describe your relationship with your audience? MIYAWAKI: You know, what's really weird is when I'm onstage, I finally feel like myself. I finally feel like I can be myself. And maybe that's because I'm pretending or I'm performing. CHANG: It sounds like it's easier to have a relationship onstage than one on one with someone offstage. And that's so interesting to me. I mean, I relate to that in a way. It's easy for me to be outgoing and sociable on the radio. But I also need a lot of time alone, and it's harder for me to be available in a relationship often. If my boyfriend's listening right now, he would totally agree with that. MIYAWAKI: Maybe there's just something about there being clearly defined roles in that situation and being more comfortable in a situation where you know your role and you know what your job is. Maybe out there in the world, it's so unclear who you're supposed to be in any situation. MIYAWAKI: So when you're onstage, it's very clear what you're there to do. And so you can be free within that limitation. MIYAWAKI: (Singing) You're my number one. You're the one I want, and you've turned down every hand that has beckoned me to come. CHANG: You've said before that this song is about a woman who can't contain it any longer, who will explode if she's forced to hold it in. What is it that she wants to let out so badly? MIYAWAKI: I think I was just very fascinated with the idea of a woman who feels she has no control over her life, over her place in the world. And she feels she has no power, and her way of feeling like she has power is to be maybe icy or cold. But if you're someone who's soft on the inside, I think eventually something inside you would find a way to get out. MIYAWAKI: (Singing) Though I'm a geyser - feel it bubbling from below. Hear it call. Hear it call. Hear it call to me constantly. And hear the harmony only when it's harming me. It's not real. It's not real. It's not real enough. MIYAWAKI: ...Wanted to write more songs about all the different kinds of love that aren't just, you know, you're so hot on the dance floor. MIYAWAKI: And I'm more interested now in maybe nostalgic love, maybe old love, maybe love that's been going on for a long time, that it's no longer what it used to be but it's become something else, you know? MIYAWAKI: (Singing) Does it smell like a school gymnasium in here? It's funny how they're all the same. It's funny how you always remember, and we've both done it all a hundred times before. CHANG: ...About relationships - relationships with other people, with your audience, with lovers, relationship with yourself - you sound so much older than 27 to me. MIYAWAKI: ...Very much so still. MIYAWAKI: So don't worry. But I think it's because I've moved around so much. And when I was younger, it was just right before social media was what it is now. And so I essentially got to start over and be somebody new. And no one else would know my past. And so in a way, I've - I got to live all these different lives, and I got to realize how many different people I am in one body. I think maybe that's why. CHANG: You, like, kind of reinvented yourself each time. MIYAWAKI: Yeah, and it messed me up a little bit, to tell you the truth. But in the long run, it's made me realize that, you know, I am all of those people. There's no such thing for me, anyway, as, like, one identity. CHANG: I totally agree with that. 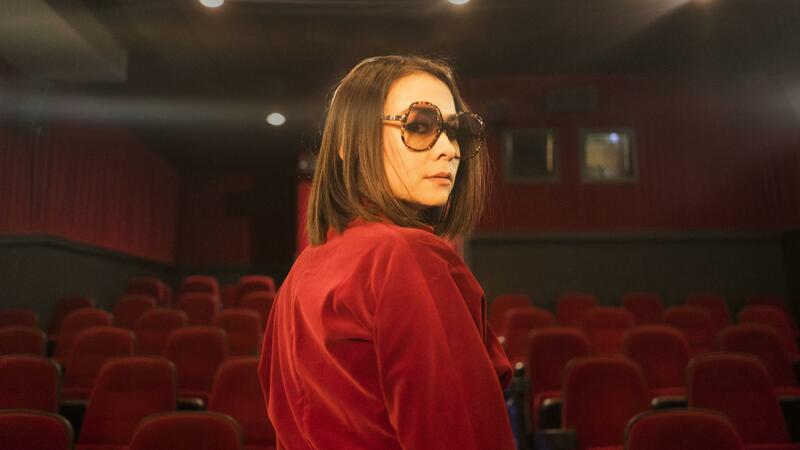 That's Mitski Miyawaki. Her new album is called "Be The Cowboy." Thank you so much for speaking with us. MIYAWAKI: Thank you so much for having me. MIYAWAKI: (Singing) To think that we could stay the same, to think that we could stay the same, to think that we will stay the same - but we're two slow dancers, last ones out. Transcript provided by NPR, Copyright NPR.